What could be more fun that pizza at Christmas time? Why, Mini Christmas pizzas, I think! 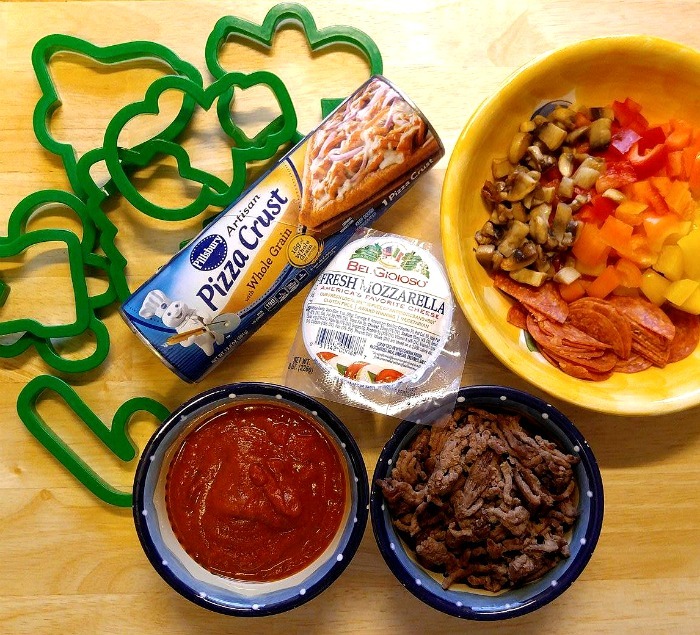 Use your cookie cutters to turn an ordinary pizza into a special treat. I found these adorable pizzas on Rhodes, and thought I would give them a go. These sweet mini pizzas are perfect for your Christmas buffet table. And they aren’t just for Christmas. 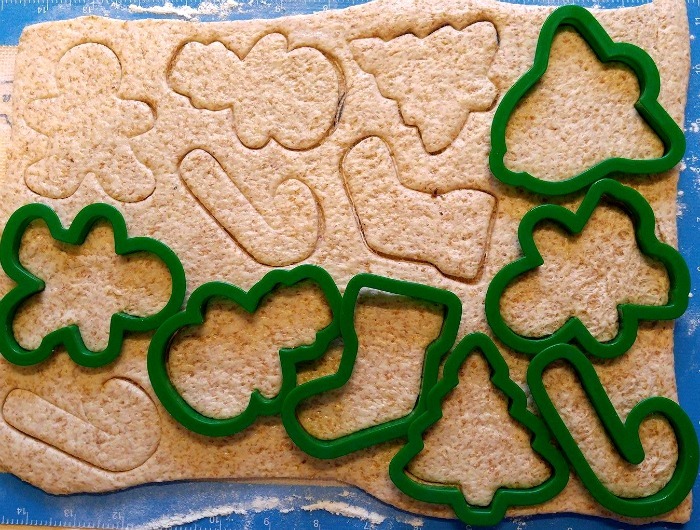 Just use other seasonal cookie cutter shapes and they would work for any holiday! 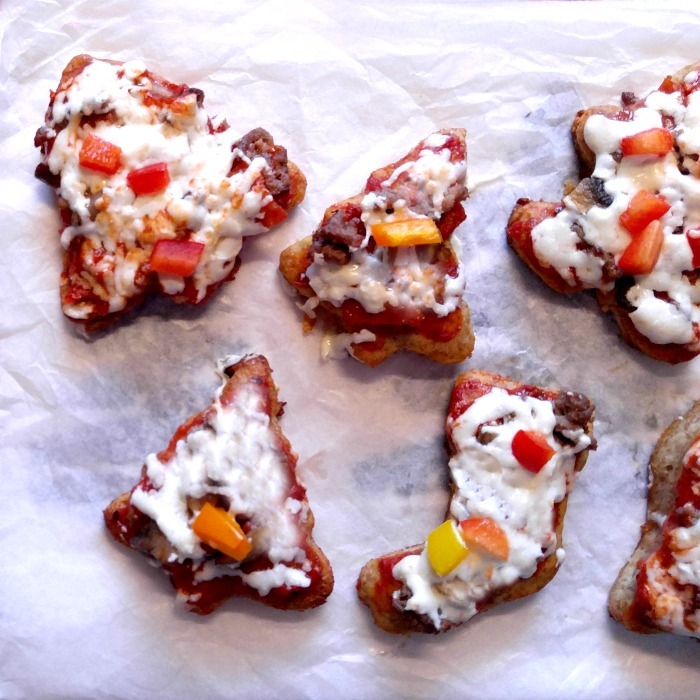 It’s time to make these Mini Christmas Pizzas! 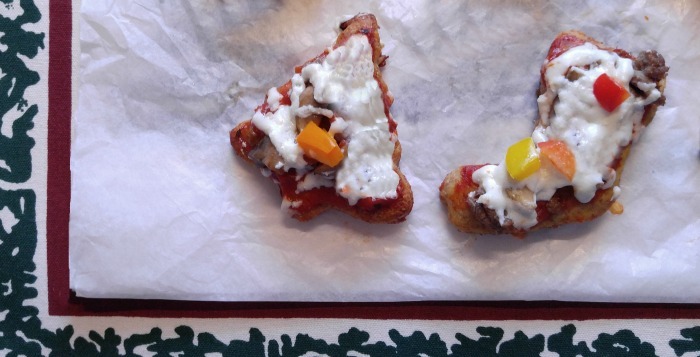 I used a whole wheat pizza dough to make these Mini Christmas Pizzas. It gave the pizzas a lightly sweet flavor that I liked. Roll out your dough on a floured silicone baking mat and cut with cookie cutters into festive shapes. I used plastic cookie cutters but the next time I make them I’ll use metal cookie cutters. Sharp edges would make them easier to cut. Another tip is to use large sized cutters. The tree and bell size worked best for me. If the cutters are too small, the pizzas won’t be recognizable shapes when the toppings are added. 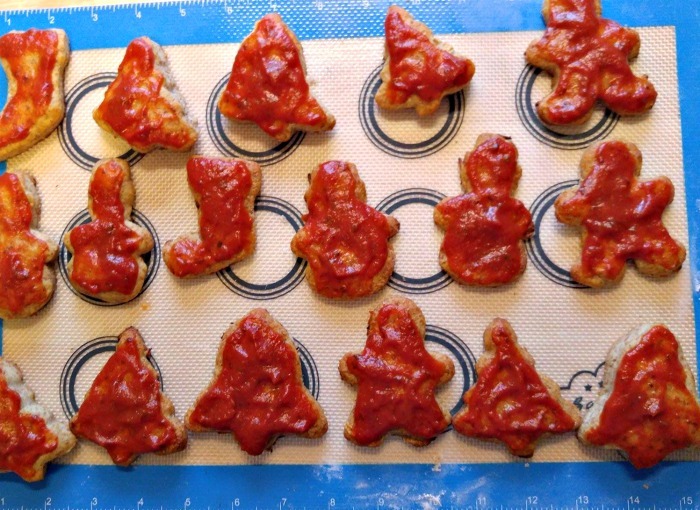 Bake the shapes in the oven until the edges start to brown and then add pizza sauce to them. Finally, add your toppings. Once again, unless you are using a large shape, keep the toppings simple. A little goes a long way. Finally, add shredded mozzarella cheese to the top and bake until the cheese melts. The only problem with these Mini Christmas pizzas is making enough of them. My platter got devoured in no time at all! 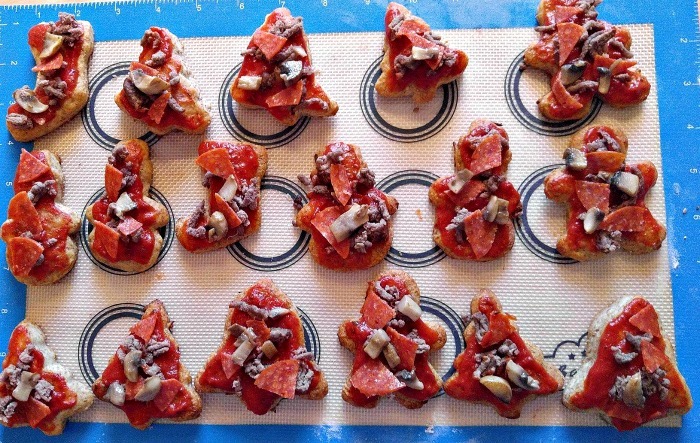 Use cookie cutters to make your own mini Christmas pizzas. They are as much fun to make as they are to eat. Place the shapes into the oven and cook until the edges start to brown. Remove and add your favorite pizza toppings. Add shredded mozzarella cheese on top and bake until the cheese melts.